Unique Earnings at Risk (EAR) model applies actual performance of your balance sheet to measure Interest Rate Risk. The TCT ALM model is a departure from the typical model as it takes steps away from the commonly used NEV calculation or liquidation value models by employing an econometric model to simulate the credit unions earnings in a series of interest rate shocks and then measuring the effect on the client's net worth. This allows clients to model their decisions and see the effects the decisions will have on the health, earnings and capital adequacy of the credit union. Furthermore, TCT's ALM offers credit unions a comprehensive and statistically valid methodology that supports best practices in Interest Rate Risk management. Simulate changes to balance sheets in compliance with NCUA regulations. The assumptions in the model are continually updated to more closely reflect the needs of participating credit unions. By analyzing the effects interest rate changes have on the income and net-worth of credit unions, the model seeks to illustrate the effects of management decisions on the financial performance of the organization. Ease-of-use keeps your board & ALCO engaged in meaningful discussions & decision making. 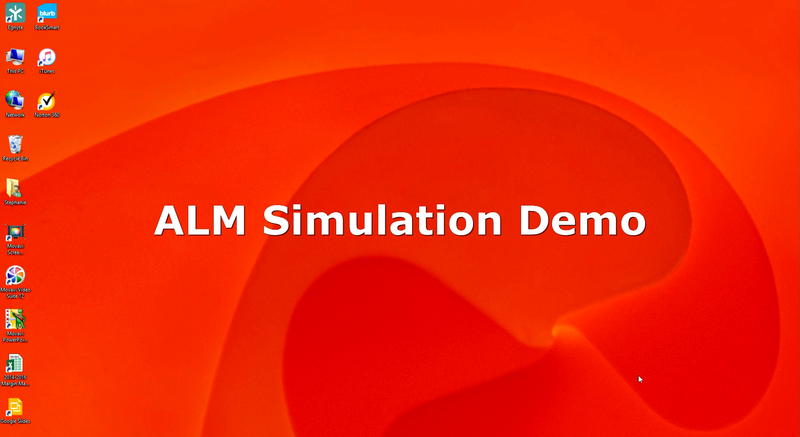 The TCT ALM models also allows credit unions to create multiple simulations where various and multiple parts of the balance sheet and income statement are adjusted to measure the effect of those changes on IRR. Credit Unions may run unlimited Simulations which increases compliance with NCUA Regulations. Utilizing the TCT ALM model enhances decision making by Management and Board by allowing them to measure the effect of their decision prior to taking action.